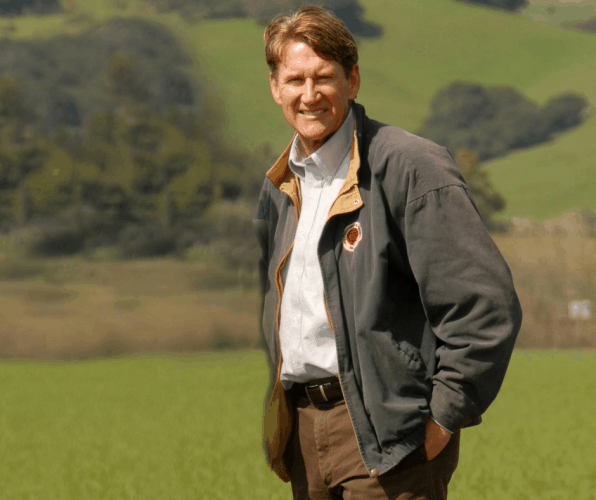 Meet Bill Christopher, CEO of Christopher Ranch and second generation farmer. His great grandfather immigrated to the United States and made his dreams a reality by starting his own farm. Today, they’ve grown to become the largest growers, packers and shippers of garlic in the nation! Learn more about Bill, why he’s proud to carry on the family business and how much he loves being able to control his own destiny. Bill: We’re planting garlic now, so cracking of the seed is going on here and they’re being planted in the San Joaquin Valley area. I drove out to the fields today to see if they’re dry enough for us to start working them and we’re still getting plastic and drip tape out of an old pepper field from last year. So we definitely have quite a few things going on at once. Bill: Working with the people and working with crops that aren’t the same every year. Because of weather and other factors, every year is different. It’s not like you’re producing widgets and selling the same people and they come out the same every time. Every year and every crop is different. Quality and quantity is different. And there’s always new challenges every year and that’s what I like most about this job. Bill: We’re very big on supporting education. We have Christopher High School in Gilroy and my dad donates money to the school district to support it and he also donated the land so they could put in the sports complex. The ranch has also given money to the school so they could buy the small vans to transport the kids around. We’ve done that with Gilroy High School as well. We also put in a new surface on the basketball courts at the local junior college here. We also work with the Gilroy Foundation to support different charities in the area and we give heavily to the Gilroy Garlic Association and the local FFA and 4-H clubs with their animals. Bill: You can’t be afraid of hard work and you should start at the bottom, that way you learn all the different things that you’ll eventually be in charge of. Without actually doing those things yourself, it’s hard to get a good perspective as to how hard the work actually is. Kids these days want to graduate from college and come out wanting to be a farm manager and be in charge of something right away, but they need to understand that they need to put in the time first and learn what’s going on because it’s very different from what you learn in the classroom. Bill: I started working here at the ranch when I was 10 and as the years went on, it started becoming more fun. I went to Stanford and then I came back to the farm to work with my dad. I loved being able to see the crops grow and see what changes we could make to make them better. I had the chance to work with my dad and learn from him and help keep the family business going. Bill: We’re always trying to stay on the cutting edge of new things that are coming out. We never want to get complacent with what we’re doing and we always want to be better and that’s something we instill in all our managers. We ask how we can be better and how can we do things better than we’re doing them now. I think as long as we stay focused on that and better ourselves as we move forward, we’ll be just fine. Bill: We’re currently working with McDonald’s to produce garlic fries. We did a 240 store test in the Bay Area and that went really well, so now they’re doing another testing throughout the United States to see if gourmet garlic fries will be something that they would offer in all of their restaurants throughout the country. So that’s really exciting for us. CA GROWN: How do you feel about the land you grow on in terms of sustainability? Bill: The ground that we’ve been growing on we’ve either leased or owned for the last 40-50 years and we’re really good with rotating the crops and not over taxing the land. We only grow one crop per year and we’ll do a lot of different things to keep the soil fresh and fertile. Bill: I think it’s definitely being able to work with my dad and my son because it’s so rewarding to be a part of their lives as we all grow up. Business-wise, it’s great to know that we can provide a product that people love and they talk about it positively. That makes me feel good that we’ve been able to create and sustain a product that people like. CA GROWN: How does it make you feel to know that your business has been successful through two generations of your family? Bill: That’s important to me and I was very happy when my son and my nephew decided to come on board. We get offers from larger conglomerates to buy us all the time and we always say no because we like being a family business and being able to control our own destiny. Having my son and nephew here will ensure that we’ll continue that tradition through another Christopher generation. And we’re definitely proud of how much we’ve grown over the years. We now farm more than 5,000 acres of garlic and we’re the largest grower, packer and shipper of garlic in the United States. We have more than 1,000 employees year-round and we have facilities in Gilroy, Los Angeles, Chicago, New Jersey and Florida. So we can also ship our products to those locations and distribute from there to other places.